Adventurer Warrior boasts a versatile and ergonomic structure that even revolutionizes the entire appearance. 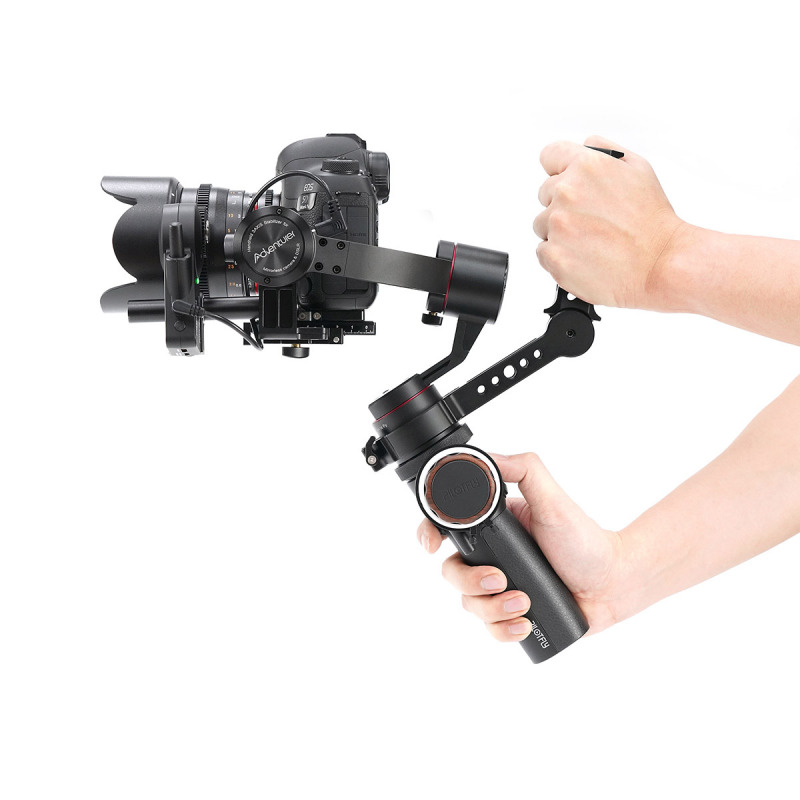 The CNC machined alloy gimbal heads have been optimized to bring durability and stability to the Adventurer Warrior, which reduces the overall weight to under 1kg (including battery). These newly developed motors offer 40% more payload capacity than our prior gimbals. 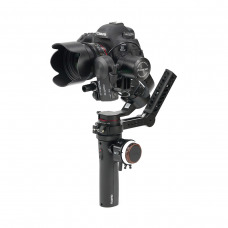 With all new 1HT handgrip to enter a handy underslung position and provide multiple mounting points for accessories. The 1HT handgrip allows 180° adjustment so that you can use it as a side handle and free stop in any position via the rosette. It features a cold shoe and multiple 1/4”-20, 3/8”-16 and arri locating holes for monitor and microphone. Additionally, the handle comes with a female rosette which is compatible with any other accessories features a male arri rosette. 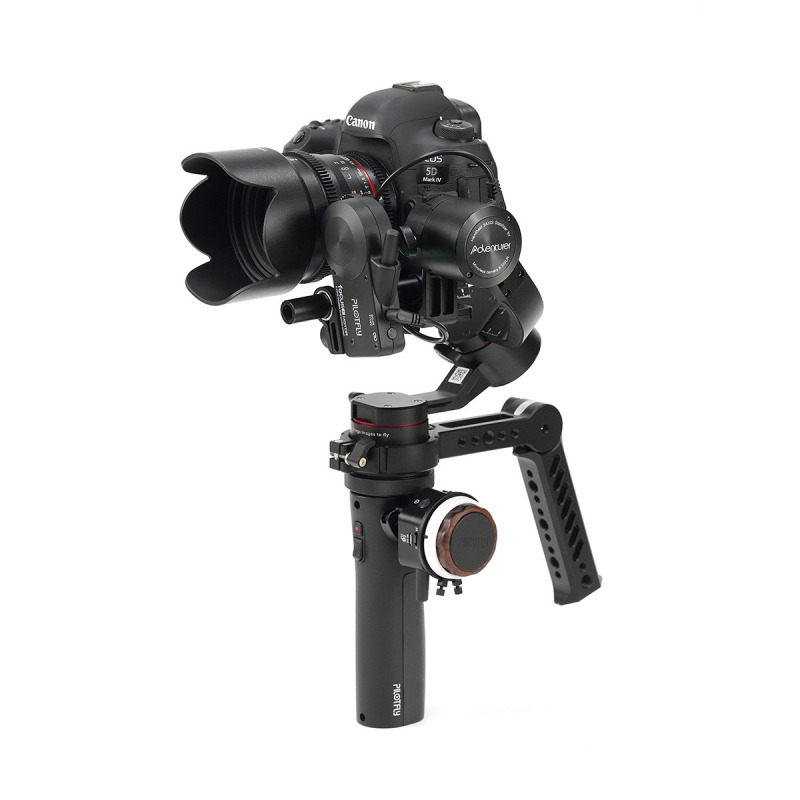 The external follow focus motor equipped to ADVENTURER WARRIOR supports precise and smooth focus control to SONY, Panasonic,Canon camera systems. With the versatile wheel on its body, you can easily pull focus while moving and shooting. ．Ergonomic external handle allow 180° of handle adjustment via the rosette. features 3/8”-16, 1/4”-20 and arri 3/8”locating holes for accessories.